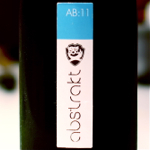 My year’s subscription to the Abstrakt Addikts club is now up, but before it went away I got my three bottles of the final release of the year – AB:11. Of all the Abstrakts that have appeared recently this is the one that I had heard the least about before release – precisely nothing. I wasn’t expecting it to arrive and had no clue what it was when it did. 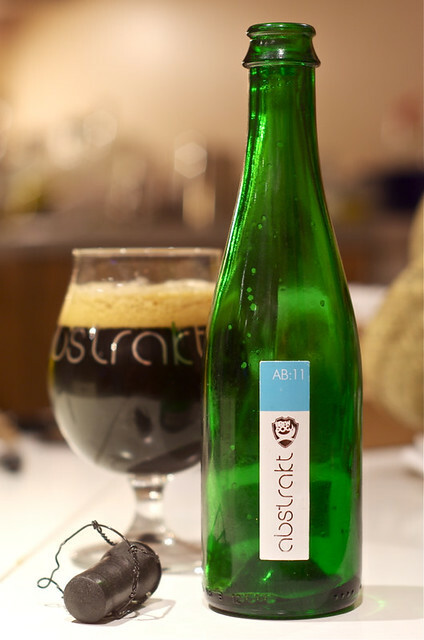 So, I did what I don’t normally do when drinking beer and tasted it entirely blind – knowing that it is an Abstrakt release does let you know that it’s not going to be a 3% supermarket lager, but other than the fact that it would be on the extreme end of beer making I didn’t know what was in my glass. It poured thick and dark with a well-structured, cappucino coloured head that lasted for a while. On the nose it had spiced high cocoa dark chocolate, crystallised ginger and a hint of fruity black cherry yoghurt. 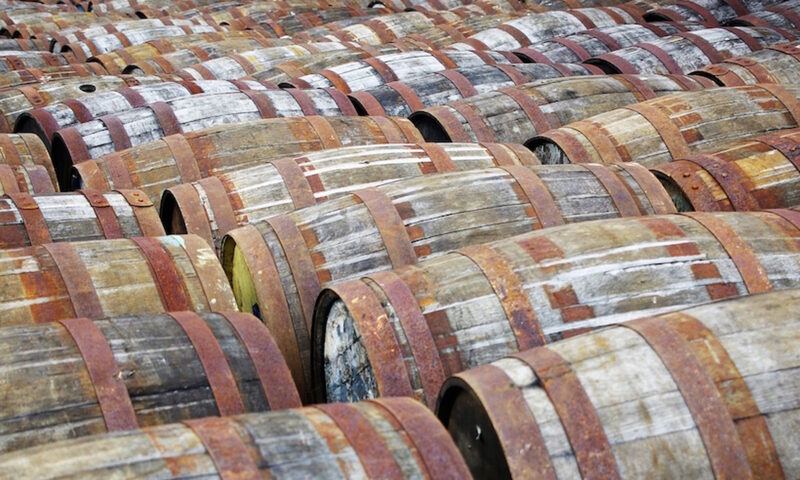 To taste it started with sweet chocolate sauce, more crystallised ginger, ginger cordial, wood smoke and medicinal hints that were almost peaty. It finished with bitter chocolate, lingering syrup, tannic edges and a hint of chilli spice. I was very impressive – I’m generally not a big fan of gingery flavours or beer with chilli in, both of which I found in this bottle, but this balanced them well along with a rich chocolate streak running through the middle. My other two bottles have been put in the Special Cupboard for a special occasion. Right, that said, what was it? From the website: Black barley wine with ginger, black raspberries and chipotle peppers. That makes me rather proud of my tasting notes and also even more impressed with the beer – it happily showed off all the flavours from the bits and pieces added to the brew without any one overpowering the others. One of the most successful Abstrakts so far.